The Houston Astros and New York Yankees led off the 2015 MLB Playoffs last night, with the Astros winning by a final tally of 3-0. 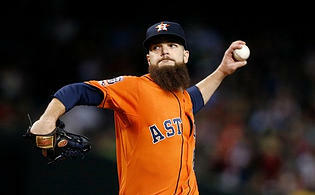 The Astros will now head to the epicenter of barbeque in Kansas City. The Royals finished with the best record in the AL, at 95-67. 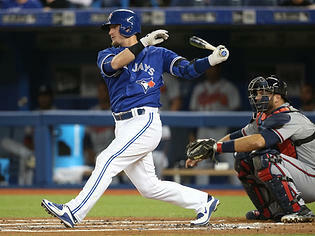 In the other matchup in the AL, the Toronto Blue Jays (93-69) welcome the passport-bearing Texas Rangers (88-74) to town. The AL is particularly clouded compared to the NL. While the NL possesses a front-runner (St. Louis), and a barrage of other capable teams, the AL doesn’t seem to have a favorite. I will not predict an AL Champion, but I will give a rundown on the ALDS pairings and give a predicted winner. In one of the better parodies displayed in this year’s playoffs, America’s underdog from a year ago hosts America’s underdog for this year. After winning their wild card game in dramatic fashion, the Royals proceeded to travel all the way to the World Series last season. This season, the Astros (86-76) won their wild card game, and are the darling of many playoff fans who don’t have their favorite team in the big dance. In the playoffs, it often comes down to who has the best pitching staff. Both the Astros and Royals possess aces, so this series will be close. Kansas City is 4-0 when Yordano Ventura starts in the playoffs, and he’s slated to take the hill in game one. Houston will be throwing their number two pitcher in Collin McHugh. Houston owns a better starting pitcher ERA, but KC’s bullpen earns a slight edge. Royals star reliever Wade Davis virtually guarantees a scoreless performance whenever he’s called upon. Houston’s bats provide a huge source of power, as five players have hit at least 20 home runs for the team. Neither teams have players that hit for high average, as each squad rosters just one player who hit at least .300 over the course of the regular season. For some reason, I just can’t see the Astros losing this series. That said, I have to pick Houston to win this matchup in five. The high-flying Blue Jays have ended their 21-year playoff drought thanks to their AL East crown this season. The Texas Rangers are in the playoffs after a short hiatus dating back to 2012. When the common fan thinks about the 2015 edition of the Toronto Blue Jays, one word comes to mind. That word is power. The Blue Jays have hit the most home runs (by far) in the MLB, and also lead all teams in runs scored. Somehow, the Rangers took home the AL West crown. The Rangers don’t really do anything particularly well, as they rank 10th in hitting average, 23rd in earned run average, and 28th in errors committed.